In the 1930s, Ugandan leaders were persuaded by international conservationists that this area was threatened by loggers, miners, and other extractive interests. In response, three forest reserves were created—the Mgahinga, the Echuya, and the Bwindi—all of which overlapped with the Batwa’s ancestral territory. For sixty years these reserves simply existed on paper, which kept them off-limits to extractors. And the Batwa stayed on, living as they had for generations, in reciprocity with the diverse biota that first drew conservationists to the region. However, when the reserves were formally designated as national parks in 1991 and a bureaucracy was created and funded by the World Bank’s Global Environment Facility to manage them, a rumor was in circulation that the Batwa were hunting and eating silverback gorillas, which by that time were widely recognized as a threatened species and also, increasingly, as a featured attraction for ecotourists from Europe and America. Gorillas were being disturbed and even poached, the Batwa admitted, but by Bahutu, Batutsi, Bantu, and other tribes who invaded the forest from outside villages. The Batwa, who felt a strong kinship with the great apes, adamantly denied killing them. Nonetheless, under pressure from traditional Western conservationists, who had come to believe that wilderness and human community were incompatible, the Batwa were forcibly expelled from their homeland. These forests are so dense that the Batwa lost perspective when they first came out. Some even stepped in front of moving vehicles. Now they are living in shabby squatter camps on the perimeter of the parks, without running water or sanitation. In one more generation their forest-based culture—songs, rituals, traditions, and stories—will be gone. Later that spring, at a Vancouver, British Columbia, meeting of the International Forum on Indigenous Mapping, all two hundred delegates signed a declaration stating that the “activities of conservation organizations now represent the single biggest threat to the integrity of indigenous lands.” These rhetorical jabs have shaken the international conservation community, as have a subsequent spate of critical articles and studies, two of them conducted by the Ford Foundation, calling big conservation to task for its historical mistreatment of indigenous peoples. “We are enemies of conservation,” declared Maasai leader Martin Saning’o, standing before a session of the November 2004 World Conservation Congress sponsored by IUCN in Bangkok, Thailand. 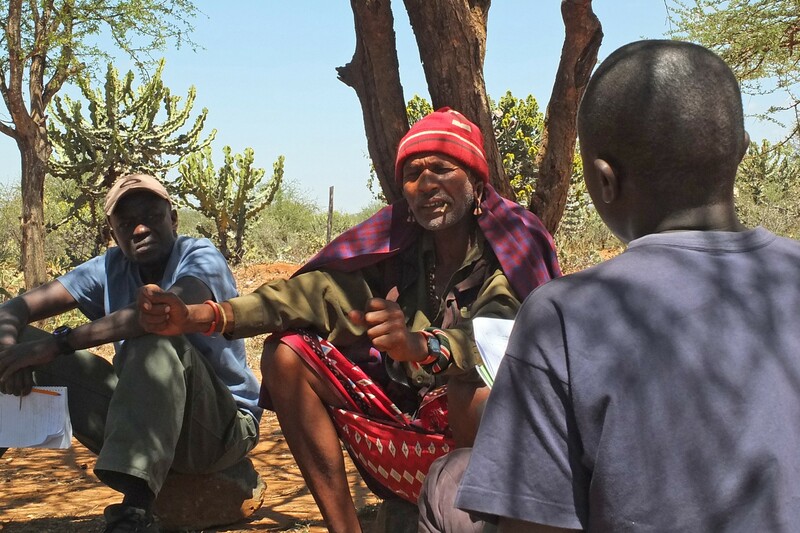 The nomadic Maasai, who have over the past thirty years lost most of their grazing range to conservation projects throughout eastern Africa, hadn’t always felt that way. In fact, Saning’o reminded his audience, “…we were the original conservationists.” The room was hushed as he quietly explained how pastoral and nomadic cattlemen have traditionally protected their range: “Our ways of farming pollinated diverse seed species and maintained corridors between ecosystems.” Then he tried to fathom the strange version of land conservation that has impoverished his people, more than one hundred thousand of whom have been displaced from southern Kenya and the Serengeti Plains of Tanzania. Like the Batwa, the Maasai have not been fairly compensated. Their culture is dissolving and they live in poverty. Although he might not have realized it, Saning’o was speaking for a growing worldwide movement of indigenous peoples who think of themselves as conservation refugees. Not to be confused with ecological refugees—people forced to abandon their homelands as a result of unbearable heat, drought, desertification, flooding, disease, or other consequences of climate chaos—conservation refugees are removed from their lands involuntarily, either forcibly or through a variety of less coercive measures. The gentler, more benign methods are sometimes called “soft eviction” or “voluntary resettlement,” though the latter is contestable. Soft or hard, the main complaint heard in the makeshift villages bordering parks and at meetings like the World Conservation Congress in Bangkok is that relocation often occurs with the tacit approval or benign neglect of one of the five big international nongovernmental conservation organizations, or as they have been nicknamed by indigenous leaders, the BINGOs. Indigenous peoples are often left out of the process entirely. Curious about this brand of conservation that puts the rights of nature before the rights of people, I set out last autumn to meet the issue face to face. I visited with tribal members on three continents who were grappling with the consequences of Western conservation and found an alarming similarity among the stories I heard. KHON NOI, MATRIARCH OF A REMOTE mountain village, huddles next to an open-pit stove in the loose, brightly colored clothes that identify her as Karen, the most populous of six tribes found in the lush, mountainous reaches of far northern Thailand. Her village of sixty-five families has been in the same wide valley for over two hundred years. She chews betel, spitting its bright red juice into the fire, and speaks softly through black teeth. She tells me I can use her name, as long as I don’t identify her village. In a recent outburst of environmental enthusiasm stimulated by generous financial offerings from the Global Environment Facility, the Thai government has been creating national parks as fast as the Royal Forest Department can map them. Ten years ago there was barely a park to be found in Thailand, and because those few that existed were unmarked “paper parks,” few Thais even knew they were there. Now there are 114 land parks and 24 marine parks on the map. Almost twenty-five thousand square kilometers, most of which are occupied by hill and fishing tribes, are now managed by the forest department as protected areas. A week before our conversation, and a short flight south of Noi’s village, six thousand conservationists were attending the World Conservation Congress in Bangkok. 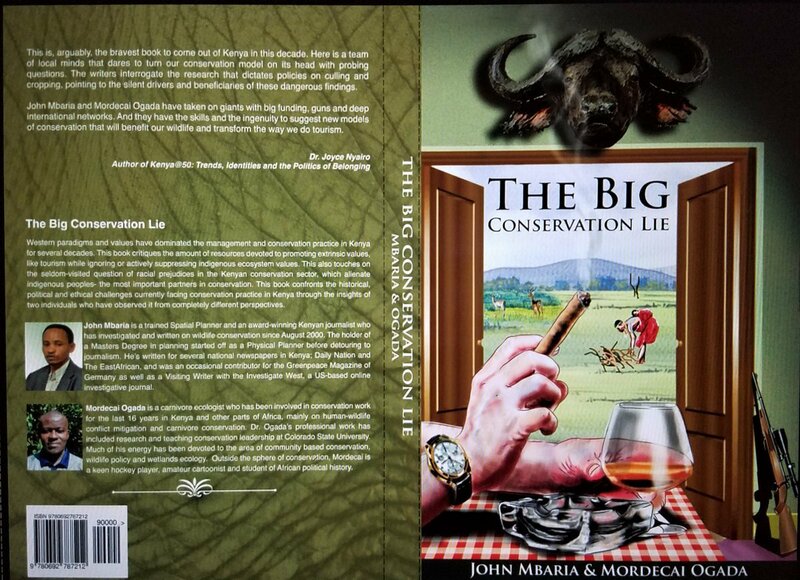 At that conference and elsewhere, big conservation has denied that they are party to the evictions while generating reams of promotional material about their affection for, and close relationships with, indigenous peoples. “We recognize that indigenous people have perhaps the deepest understanding of the Earth’s living resources,” says Conservation International chairman and CEO Peter Seligman, adding that, “we firmly believe that indigenous people must have ownership, control and title of their lands.” Such messages are carefully projected toward major funders of conservation, which in response to the aforementioned Ford Foundation reports and other press have become increasingly sensitive to indigenous peoples and their struggles for cultural survival. With that kind of financial and political leverage, as well as chapters in almost every country of the world, millions of loyal members, and nine-figure budgets, CI, WWF, and TNC have undertaken a hugely expanded global push to increase the number of so-called protected areas (PAs)—parks, reserves, wildlife sanctuaries, and corridors created to preserve biological diversity. In 1962, there were some 1,000 official PAs worldwide. Today there are 108,000, with more being added every day. The total area of land now under conservation protection worldwide has doubled since 1990, when the World Parks Commission set a goal of protecting 10 percent of the planet’s surface. That goal has been exceeded, with over 12 percent of all land, a total area of 11.75 million square miles, now protected. That’s an area greater than the entire land mass of Africa. During the 1990s the African nation of Chad increased the amount of national land under protection from 0.1 to 9.1 percent. All of that land had been previously inhabited by what are now an estimated six hundred thousand conservation refugees. No other country besides India, which officially admits to 1.6 million, is even counting this growing new class of refugees. World estimates offered by the UN, IUCN, and a few anthropologists range from 5 million to tens of millions. Charles Geisler, a sociologist at Cornell University who has studied displacements in Africa, is certain the number on that continent alone exceeds 14 million. The true worldwide figure, if it were ever known, would depend upon the semantics of words like “eviction,” “displacement,” and “refugee,” over which parties on all sides of the issue argue endlessly. The larger point is that conservation refugees exist on every continent but Antarctica, and by most accounts live far more difficult lives than they once did, banished from lands they thrived on for hundreds, even thousands of years. John Muir, a forefather of the American conservation movement, argued that “wilderness” should be cleared of all inhabitants and set aside to satisfy the urbane human’s need for recreation and spiritual renewal. It was a sentiment that became national policy with the passage of the 1964 Wilderness Act, which defined wilderness as a place “where man himself is a visitor who does not remain.” One should not be surprised to find hardy residues of these sentiments among traditional conservation groups. The preference for “virgin” wilderness has lingered on in a movement that has tended to value all nature but human nature, and refused to recognize the positive wildness in human beings. Expulsions continue around the world to this day. The Indian government, which evicted one hundred thousand adivasis (rural peoples) in Assam between April and July of 2002, estimates that 2 or 3 million more will be displaced over the next decade. The policy is largely in response to a 1993 lawsuit brought by WWF, which demanded that the government increase PAs by 8 percent, mostly in order to protect tiger habitat. A more immediate threat involves the impending removal of several Mayan communities from the Montes Azules region of Chiapas, Mexico, a process begun in the mid-1970s with the intent to preserve virgin tropical forest, which could still quite easily spark a civil war. Conservation International is deeply immersed in that controversy, as are a host of extractive industries. Tribal people, who tend to think and plan in generations, rather than weeks, months, and years, are still waiting to be paid the consideration promised. Of course the UN draft declaration is the prize because it must be ratified by so many nations. The declaration has failed to pass so far mainly because powerful leaders such as Tony Blair and George Bush threaten to veto it, arguing that there is not and should never be such a thing as collective human rights. Sadly, the human rights and global conservation communities remain at serious odds over the question of displacement, each side blaming the other for the particular crisis they perceive. Conservation biologists argue that by allowing native populations to grow, hunt, and gather in protected areas, anthropologists, cultural preservationists, and other supporters of indigenous rights become complicit in the decline of biological diversity. Some, like the Wildlife Conservation Society’s outspoken president, Steven Sanderson, believe that the entire global conservation agenda has been “hijacked” by advocates for indigenous peoples, placing wildlife and biodiversity in peril. “Forest peoples and their representatives may speak for the forest,” Sanderson has said, “They may speak for their version of the forest; but they do not speak for the forest we want to conserve.” WCS, originally the New York Zoological Society, is a BINGO lesser in size and stature than the likes of TNC and CI, but more insistent than its colleagues that indigenous territorial rights, while a valid social issue, should be of no concern to wildlife conservationists. Market-based solutions put forth by human rights groups, which may have been implemented with the best of social and ecological intentions, share a lamentable outcome, barely discernible behind a smoke screen of slick promotion. In almost every case indigenous people are moved into the money economy without the means to participate in it fully. They become permanently indentured as park rangers (never wardens), porters, waiters, harvesters, or, if they manage to learn a European language, ecotour guides. Under this model, “conservation” edges ever closer to “development,” while native communities are assimilated into the lowest ranks of national cultures. It should be no surprise, then, that tribal peoples regard conservationists as just another colonizer—an extension of the deadening forces of economic and cultural hegemony. Whole societies like the Batwa, the Maasai, the Ashinika of Peru, the Gwi and Gana Bushmen of Botswana, the Karen and Hmong of Southeast Asia, and the Huarani of Ecuador are being transformed from independent and self-sustaining into deeply dependent and poor communities. “We are arrogant,” was the confession of a CI executive working in South America, who asked me not to identify her. I was heartened by her admission until she went on to suggest that this was merely a minor character flaw. In fact, arrogance was cited by almost all of the nearly one hundred indigenous leaders I met with as a major impediment to constructive communication with big conservation. If field observations and field workers’ sentiments trickle up to the headquarters of CI and the other BINGOs, there could be a happy ending to this story. There are already positive working models of socially sensitive conservation on every continent, particularly in Australia, Bolivia, Nepal, and Canada, where national laws that protect native land rights leave foreign conservationists no choice but to join hands with indigenous communities and work out creative ways to protect wildlife habitat and sustain biodiversity while allowing indigenous citizens to thrive in their traditional settlements. In most such cases it is the native people who initiate the creation of a reserve, which is more likely to be called an “indigenous protected area” (IPA) or a “community conservation area” (CCA). IPAs are an invention of Australian aboriginals, many of whom have regained ownership and territorial autonomy under new treaties with the national government, and CCAs are appearing around the world, from Lao fishing villages along the Mekong River to the Mataven Forest in Colombia, where six indigenous tribes live in 152 villages bordering a four-million-acre ecologically intact reserve. The Kayapo, a nation of Amazonian Indians with whom the Brazilian government and CI have formed a co-operative conservation project, is another such example. Kayapo leaders, renowned for their militancy, openly refused to be treated like just another stakeholder in a two-way deal between a national government and a conservation NGO, as is so often the case with co-operative management plans. Throughout negotiations they insisted upon being an equal player at the table, with equal rights and land sovereignty. As a consequence, the Xingu National Park, the continent’s first Indian-owned park, was created to protect the lifeways of the Kayapo and other indigenous Amazonians who are determined to remain within the park’s boundaries. In many locations, once a CCA is established and territorial rights are assured, the founding community invites a BINGO to send its ecologists and wildlife biologists to share in the task of protecting biodiversity by combining Western scientific methodology with indigenous ecological knowledge. And on occasion they will ask for help negotiating with reluctant governments. For example, the Guarani Izoceños people in Bolivia invited the Wildlife Conservation Society to mediate a comanagement agreement with their government, which today allows the tribe to manage and own part of the new Kaa-Iya del Gran Chaco National Park. TOO MUCH HOPE SHOULD PROBABLY NOT be placed in a handful of successful co-management models, however. The unrestrained corporate lust for energy, hardwood, medicines, and strategic metals is still a considerable threat to indigenous communities, arguably a larger threat than conservation. But the lines between the two are being blurred. Particularly problematic is the fact that international conservation organizations remain comfortable working in close quarters with some of the most aggressive global resource prospectors, such as Boise Cascade, Chevron-Texaco, Mitsubishi, Conoco-Phillips, International Paper, Rio Tinto Mining, Shell, and Weyerhauser, all of whom are members of a CI-created entity called the Center for Environmental Leadership in Business. Of course if the BINGOs were to renounce their corporate partners, they would forfeit millions of dollars in revenue and access to global power without which they sincerely believe they could not be effective. Yet many conservationists are beginning to realize that most of the areas they have sought to protect are rich in biodiversity precisely because the people who were living there had come to understand the value and mechanisms of biological diversity. Some will even admit that wrecking the lives of 10 million or more poor, powerless people has been an enormous mistake—not only a moral, social, philosophical, and economic mistake, but an ecological one as well. Others have learned from experience that national parks and protected areas surrounded by angry, hungry people who describe themselves as “enemies of conservation” are generally doomed to fail. More and more conservationists seem to be wondering how, after setting aside a “protected” land mass the size of Africa, global biodiversity continues to decline. Might there be something terribly wrong with this plan—particularly after the Convention on Biological Diversity has documented the astounding fact that in Africa, where so many parks and reserves have been created and where indigenous evictions run highest, 90 percent of biodiversity lies outside of protected areas? If we want to preserve biodiversity in the far reaches of the globe, places that are in many cases still occupied by indigenous people living in ways that are ecologically sustainable, history is showing us that the dumbest thing we can do is kick them out. Last week, an organisation called Avoided Deforestation Partners launched what they blandly describe as “an agreement on policies aimed at protecting the world’s tropical forests”. Under this agreement, “companies would be eligible to receive credit for reducing climate pollution by financing conservation of tropical forests”. It is a loophole allowing industry to write a cheque and continue to pollute. This is another nightmare vision of REDD, similar to that recently proposed by the Australian government. Another similarity with Australia is the support received from what is at first glance a surprising source: big international conservation NGOs. REDD-Monitor received the following anonymous contribution about the agreement. We reproduce it in full in the hope of generating further discussion about this liaison between conservation NGOs and polluting industry. The following organisations signed the agreement: American Electric Power, Conservation International, Duke Energy, Environmental Defense Fund, El Paso Corporation, National Wildlife Federation, Marriott International, Mercy Corps, Natural Resources Defense Council, PG&E Corporation, Sierra Club, Starbucks Coffee Company, The Nature Conservancy, Union of Concerned Scientists, The Walt Disney Company, Wildlife Conservation Society, and the Woods Hole Research Center. When, in years to come, the history is written of how humanity came to lose the battle against climate change, May 20th 2009 will go down as the day that the tide decisively turned against planetary survival. For this was the day that those with the influence and power who could have taken a stand of moral principle, and who could have demanded the kind of action needed to reduce greenhouse gas emissions in the US, decided not to. Instead, they offered some of the biggest, filthiest planetary polluters an ‘easy out’, by lobbying the US Congress jointly with them, that US carbon emissions should be offset against oversees credits for ‘avoided deforestation’. Surprisingly, it was not the professional lobbyists, union leaders or government officials who demonstrated the loss of their moral compasses on May 20th. It was the big international conservation organisations who, we have all been led to believe, are supposedly looking after the planet’s wild places. In a statement issued alongside fossil fuel-burning power giants such as American Electric Power, and Pacific Gas and Electric Company, the conservationists – including The Nature Conservancy, Environmental Defence Fund, Conservation International and Wildlife Conservation Society – called for unlimited access for ‘avoided deforestation’ carbon credits in the American Clean Energy and Security Act (also known as the Waxman/Markey bill)- thereby potentially allowing major polluters not to make significant reductions in their own emissions for many years to come. In this, they were largely reaffirming what was already included in this desperately weak piece of draft legislation. The interests of the big US international conservation NGOs (let’s call them BINGOS) and large corporations have been converging for some years. The BINGOs have realised that the fat profits of mining, utility and financial services companies are a ready source of income for their fast expanding empires. The corporations have realised that the compliant BINGOs are potentially their best green public relations’ agencies, if paid the right amounts of money. The BINGO’s spiralling budgets have grown ever more dependent on hand-outs from the private sector, and the Boards of all the main US conservation groups are now stuffed with corporate executives. In fairness, the statement does recognise that the rights of indigenous peoples need to be respected in REDD programmes. However, the day before the BINGO-polluter love-note was announced, the chief scientist of one of the BINGO signatories – Peter Kareiva, of the Nature Conservancy – confirmed what many indigenous people and environmentalists already knew: that “the traditional protected areas strategy has all too often trampled on people’s rights”. Kareiva also said that “The key question is to what extent have we – and by “we,” I mean the big conservation NGOs such as The Nature Conservancy, Conservation International and WWF – mended our ways so that we no longer disrespect the rights of indigenous people in pursuit of our missions.” The fact that Kareiva still has to ask the question is telling in itself, in that the BINGOs have been told for many years that their anti-people approach is unacceptable and probably ultimately ineffective. TNC’s chief scientist rightly concluded that the entire protected areas strategy “warrants a critical re-examination”. Kareiva also asked the question “Should the conservation movement be proud of the 108,000 protected areas around the world it has thus far helped establish?” Many indigenous people know the answer to that question, and it is why they remain deeply concerned and sceptical about grand international plans by conservation organisations to ‘protect’ their forests in order to supposedly prevent climate change. Do the math, and it’s not hard to see why the BINGOs have finally sold their souls to the devil. Around 150 million hectares of tropical forests is in protected areas worldwide, much of it under the control or management of international conservation groups. Each hectare of forest contains around 100-200 tons of carbon, and each ton of carbon could be worth around $10 at the moment (and potentially much more in the future). The BINGOs know that they have a big stake in an asset potentially worth $150 billion and upwards. But there would have to be a buyer for this asset to actually be worth anything. Step in the big fossil fuel-burning power utilities, which, like most US businesses, have been cosseted and protected from global environmental realities by eight years of the Bush administration. If there is an easy way to avoid changing their business model, of avoiding the installation of more efficient technology, or of losing market segment to renewable energy producers, they will surely take it. Avoided deforestation offsets on a grand scale – brokered by their chums in the conservation groups – would be just the ticket. These groups – organisations that, unlike the BINGOS, have not allowed themselves to grow bloated and complacent feasting at the teats of mammon – point out that “the American Clean Energy and Security Act sets targets for reducing pollution that are far weaker than science says is necessary to avoid catastrophic climate change. They are further undermined by massive loopholes that could allow the most polluting industries to avoid real emission reductions until 2027.” That is, they can largely be offset against ‘carbon credits’ bought from overseas projects, such as for putative ‘avoided deforestation’ schemes. How has this potentially catastrophic turn of events come about? The decision-making process for the Waxman/Markey bill which will perpetuate the US’s addiction to fossil fuels was, we are told by the environmental groups “co-opted by oil and coal lobbyists”. Were the environmentalists slightly less polite, they might have added “and their trough-snouting apologists in the conservation BINGOs”. And as we all know, where the US leads, the rest of the world tends to follow. If the Waxman/Markey bill becomes law, it is likely to set a precedent that negotiators at the Copenhagen climate summit in December will look to for inspiration. So the May 20th statement is not just an act of egregious short-sighted greed and duplicity by the supposed conservationists; it is little more than an act of global environmental treachery. One of the coordinators of the joint statement, Jeff Horowitz of ‘Avoided Deforestation Partners’, describing the statement as a ‘landmark’, said “When environmentalists and major corporate leaders can agree, real change has come”. He is right, real change has indeed come, and it is a landmark: it marks the point that the conservation BINGOs finally abandoned any last pretence to be acting in the interests of the planet. The gravy train may well be headed the way of the BINGOs, but the cost could be dangerous climate change that will eventually wipe out many wildlife habitats, including tropical forests. But when the good ship Mother Earth does start sinking, at least we’ll now know who should be the first to be thrown overboard.